Planning a Disney vacation for your family can be a huge (at lets be honest, overwhelming) task, but one that many of us endure so that our children can have this once in a life time experience. As such, we are super EXCITED to be able to welcome Carla Gesell-Streeter, a travel agent specializing in Disney travel for over eight years, to the Family Friendly Cincinnati site. Over the course of the next few weeks Carla will share her insights and tips with us in a series of posts concerning Disney travel- when to go, how to get there, where to stay, what to do there and where to eat – all designed to help you make your family’s Disney vacation the best it can be. Find Carla’s other Disney World travel tips posts, here. For many people, their dream family vacation is a trip to a Disney travel location. But there are so many choices and options available that planning a Disney family vacation can be a bit daunting if you’ve never been or you haven’t been since you were a kid yourself. 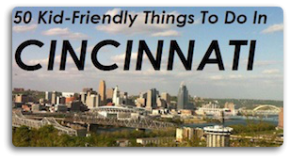 This series of posts for Family Friendly Cincinnati is intended to help provide you with the information you need to make those choices wisely. First of all, let me introduce myself. My name is Carla Gesell-Streeter and I’ve worked as a travel agent specializing in Disney for over eight years. The agency I’m affiliated with (The Magic For Less Travel) is an Authorized Disney Vacation Planner or “EarMarked” which means we rank among the top agencies booking Disney in the country. I’ve traveled to Walt Disney World more times than I can count and I’ve also been to Disneyland several times plus sailed with the Disney Cruise Line frequently. In addition, I host a short-short podcast called “Mouse Magic in a Minute” which gives you one quick Disney travel tip each episode.There are five main topics that we are going to cover over the next few weeks concerning Disney travel: when to go, how to get there, where to stay, what to do there and where to eat. For now, we’re going to concentrate on traveling to Walt Disney World since it is the most popular for families in the Cincinnati area. As far as saving money goes, choosing when to travel to Walt Disney World may be the most important factor. For the most part, Disney has six “seasons” each calendar year. Instead of being one big block of time, the different seasons may be for just a few days before switching to a different season or to special event pricing. Also, the weekend nights (Friday and Saturday) are priced slightly higher than the weekday nights. That’s true no matter what season it is. The next least expensive time is called Regular Season. It’s still considered off-peak, but not as light as value season. In 2013, the standard season dates include February 24 – March 7 and April 7 – May 30. The next season in pricing is Summer Season. Most children will be off from school during these dates and most family vacations are planned during this season. In 2013, the summer season dates include just one block from May 31 – August 3rd. Fall Season is next. The temperatures are cooler during the fall season and there are several events at Walt Disney World like Mickey’s Not So Scary Halloween Party and the Epcot Food and Wine Festival that bring more people to the parks during this season. In 2013, the fall season dates include October 14 – November 22 and November 30 – December 12. Both Columbus Day weekend and the days around Thanksgiving have their own special (higher) pricing. The second most expensive season is Peak Season. This covers most spring break times with a few other prime travel weeks thrown in. In 2013, the peak season dates include February 14, February 18 – 23, March 8 – 23 and December 13 – 19. Both Presidents Day weekend and the days around Easter have their own special (higher) pricing. The most expensive time to travel to Walt Disney World is during Holiday Season. These days that usually run from a few days before Christmas until New Year’s Day are also the busiest days at the parks. They can even reach capacity and guests may have to wait for other guests to leave before they can enter the parks. Some rides like Space Mountain may have a three hour wait time. In 2013, the holiday season dates run from December 20 – January 1, 2014. A final thing to consider when choosing your dates is whether Disney is hosting any special events while you’re there. Disney has added these special events to drive traffic to the parks during times when there would normally be less people. Sometimes, attending these events enhances your trip and sometimes it just raises the crowd levels on your vacation. We’ve already mentioned the marathon weekend and Disney has added several other runDisney events throughout the year. In addition to Mickey’s Not So Scary Halloween Party and Epcot Food and Wine, there are also Mickey’s Very Merry Christmas Party and Epcot Flower and Garden Festival. Also, there are Star Wars Weekends, Grad Nights, Nights of Joy and various youth sporting competitions. Now that you’ve thought about when to go to Walt Disney World, it’s time to think about how to get there. And that’s what we will cover in my next post. Until then, have a magical day! The sector hopes for more passionate writers likie yyou who aren’t afraidd to mention how they believe. And don’t forget that the value seasons have shorter park hours normally. The busier times, Disney will extend the park hours and have more rides and shows open. So it can even out.